It’s easy to see how awesome the NVIDIA GeForce GTX 1080 is as a graphics card, but things are being taken to the next level by the AIB (add-in board) partners starting to unveil variants of the card with custom PCBs and cooling solutions. Gigabyte already released the GeForce GTX 1080 Xtreme Gaming, which comes with a WindForce cooler and RGB lighting. The custom PCB that Gigabyte’s GeForce GTX 1080 Xtreme Gaming comes with has a reinforced backplate for more stability. At the same time, the WindForce cooler configuration has three 100mm fans with angular blades, designed especially for dissipating heat more efficiently. If the card is under a set temperature or is idle, the fans are disabled, allowing 0dB operation for low-intensive workloads. The Gigabyte GeForce GTX 1080 Xtreme Gaming graphics card comes with 8GB GDDR5X video memory on a 256-bit wide memory bus and a memory clock of 10010MHz. It also comes with two HDMI 2.0 ports, three DisplayPort 1.4 ports, and a dual-link DVI-D. In order to power up this card, you will need two 8-pin PCIe power connectors. This video card comes with a unique feature called Xtreme VR Link. This feature includes a front panel with two USB 3.0 and HDMI ports that can be slotted in a 5.25-inch drive bay. Using this accessory, you will be able to connect your VR headset to the front of your enclosure, instead of having to reach the HDMI connectors located at the back of the video card. 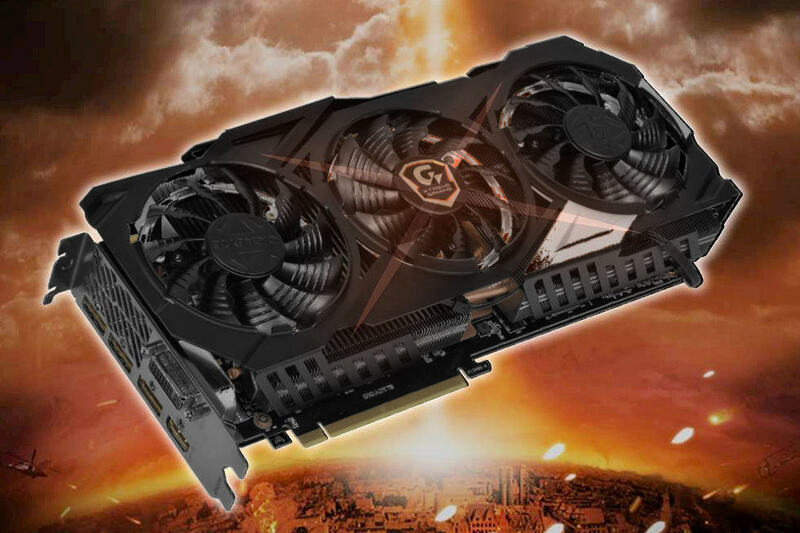 Gigabyte increased the cooling efficiency by 29%, by putting it in contact with the GPU six composite heat-pipes. In addition, Gigabyte increased cooling efficiency by 29% by putting it in contact with the GPU six composite heat-pipes. To make things even better, the company is offering a four-year warranty on the card. Unfortunately, it’s not yet certain when the video card will be released and how much it will cost.